META-Kinetics Professional Training - META-Health Academy. META-Kinetics Professional Training - META-Health Academy. Are you seeking a deeper understanding of mind-body medicine and healing? Are you a consciousness explorer? Would you like to gain answers directly from the body-field? Are you keen to go beyond risk factors and explore the unconscious causes of our health challenges? META-Kinetics is an exciting development in META-Health and mind-body medicine. It synthesises two powerful disciplines: Cyberkinetics, an advanced form of Kinesiology, and META-Health, a comprehensive mind-body-social system of health understanding. If you’re a therapist, personal development/Life coach, energy worker or health professional in complementary, alternative or modern medicine, META-Kinetics will give you a fully integrative framework and advanced methodology for working with clients. If you’re a META-Health Professional, it will bring your knowledge and understanding to life! It takes away the guesswork of linguistic enquiry and reveals the answers from the body-mind. META-Kinetics will also support you if you’re on your own healing and personal development journey, bringing awareness into the deeper aspects of your own issues, and is an effective approach for helping family and friends. Join Robert Waghmare, META-Kinetics Master Trainer and developer – for a fascinating inspiring, Introduction to the universe of META-Kinetics. Listen to a short talk and watch it demonstrated, see how Robert is able to work with members of the audience to obtain deeply unconscious information precise from a audience participants. Hold on to your hats as this might challenge and even redefine the your current beliefs about health, dis-ease and personal development! On this course, you’ll gain a broader and deeper understanding and competence with META-Kinetics. You’ll learn how to integrate META-Health with the energy system, developing skills in identifying energetic blockages and balancing the Meridians and Chakras. Successful completion of Level 1 is a pre-requisite for this course. Boost your confidence with META-Kinetics, gain new techniques and develop your skills – join our META-Kinetics Mentoring Day! This special day complements our META-Kinetics training programmes, giving you invaluable experience, along with support and advice from the Developers of META-Kinetics. It is open to those who are already qualified in META-Kinetics or currently working towards Practitioner status. The starting point on your META-Kinetics journey! On this course, you’ll learn how to use muscle testing and how to apply Cyberkinetics Advanced Kinesiology. You’ll learn how META-Kinetics works and how to do a META-Kinetics balance (full META-Kinetics session). You’ll be able to uncover all the issues a client has with the META-Health scan, find the core issue, and release the stress from it; leaving your client feeling refreshed and balanced! 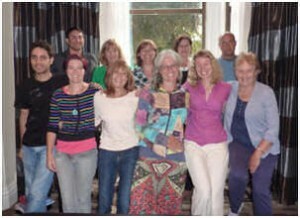 Become a META-Kinetics Master Practitioner, and work at the cutting edge of body-mind inquiry! On this highly practical cutting-edge course, you’ll go beyond protocols, using META-Kinetics flexibly, creatively and intuitively. You will deepen your understanding, skill and competence – and move into being and becoming a META-Kinetics creator. ‘META-Kinetics is simply powerful and amazing! It bypasses the conscious mind - eliminates linguistic biases and misunderstandings between coach and client. You can investigate and ask the body EVERYTHING! ‘I like that the process is simple but can find complex/hidden issues far quicker than by other methods – some immediate feedback. I’m already using it on friends and family to improve their quality of life and I can only see this improving and going wider than this circle as interest is huge! META-Kinetics is taught by the creators, Robert Waghmare, Tremayne Reiss and Joanne Ross. META-Kinetics was founded by Tremayne Reiss and the late Alan Sales, creator of Cyberkinetics. They realised that synthesising the methodology of Cyberkinetics with the knowledge base of META-Health would provide an unparalleled approach to mind-body enquiry. 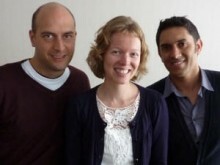 Robert and Joanne are the UK’s only Senior Master Trainers in META-Health and leading developers in the field. Robert, Joanne and Tremayne have been training META-Kinetics since 2010. They each bring unique qualities to their courses, with Robert's deep understanding, Tremayne's mastery of Kinesiology and Joanne's ability to break down complex concepts into easily understandable 'chunks'. Together they ensure that their courses are enjoyable, inspiring and transformational! Robert, Joanne and Tremayne are continually innovating and evolving their understanding through this incredible system of mind-body-social enquiry - and passionate about sharing this with their trainees!